On the first of this month, prime minister Scott Morrison announced the government would be funding a $498 million redevelopment of the Australian War Memorial (AWM), which would include new exhibits acknowledging recent conflicts, such as Afghanistan and the Solomon Islands. AWM director Dr Brendan Nelson has been spruiking the proposed upgrade since April. The former Liberal leader recently explained that there’s a necessity to tell the stories regarding contemporary conflicts immediately, rather than waiting a decade to recognise the sacrifices of those involved. The announcement has sparked questions as to whether the close to half a billion dollars could be better spent elsewhere by a government hellbent on allocating funds to war commemorations. Not to mention the controversy surrounding weapons manufacturing companies sponsoring the AWM. But, the major issue raised by the recent announcement is that the AWM redevelopment will in no way attempt to incorporate the long silenced stories of the Frontiers Wars: the conflicts that occurred on this continent between the European invaders and the local First Nations peoples. Calls to acknowledge the Frontier Wars at the AWM have been growing stronger over recent years. However, Dr Nelson has stated that the memorial is concerned with telling the stories of Australians who’ve been deployed to wars overseas, not internal conflicts. 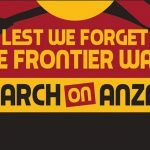 “Clearly there is now a growing movement to demand that the AWM recognise frontier war,” said eminent Australian historian Professor Henry Reynolds. He explained that several things have led to this, which include new historiography and far higher estimates of those who died in the violence. 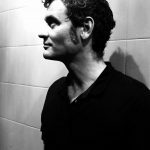 The frontier conflicts – that began straight after British arrival in 1788 and continued to as late as 1934 – were omitted from Australian history books from the late 19th century up until the 1960s. Professor Reynolds’ work over the last four decades has been instrumental on breaking this silence. 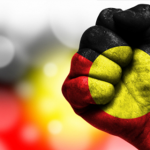 In his 1980s work, Professor Reynolds estimated that around 20,000 Aboriginal and Torres Strait Islander people lost their lives in these conflicts, along with 2,500 Europeans who were killed. But, over the last decade, he’s revised this estimate to 30,000 First Nations people and upwards. However, some historians have recently estimated at least 65,000 Indigenous people died in conflicts in Queensland alone. 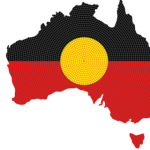 “But, the biggest development was Mabo,” the University of Tasmania professor told Sydney Criminal Lawyers®. The 1992 High Court decision asserted that First Nations people had prior claim to the land. “The conflict now has to be about ownership and control of land,” Reynolds explained. For Deakin University Institute of Koorie Education lecturer Terry Mason recognition of the frontier conflicts is necessary, but issues around including them in the AWM are not so clear-cut, as most of the conflicts were illegal and carried out by civilians and police: a civilian body. 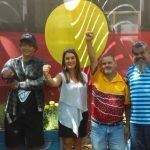 “War at the time of invasion did have rules, and although the times were harsh, the tactics of these civilian groups did not abide by them,” the Awabakal man stressed. He added that the “particularly hideous” treatment of elderly people, women and children fell way outside of these rules. “Most of the frontier conflict falls under murder, genocide, outrageous moral behaviour,” Mason continued, “the list would be long.” And he questioned equating resistance to invasion with actions that would come under the definition of war. Mr Mason also pointed out that throwing half a million dollars at an edifice that “does not recognise the true shared history in this country” might be taken as a slight to Indigenous people, especially when $534 million was stripped from the 2014-18 Indigenous affairs budget. Professor Reynolds has stated that if the AWM cannot see its way to acknowledge the Frontier Wars, then a substantial amount of the new funding should be allocated to establishing a separate commemorative site for what he’s described as the nation’s “most important war”. In his opinion, a further reason that the recognition must be forthcoming is that other settler colonial nations – such as the US, New Zealand and South Africa – have already recognised “their frontier conflict as war”. And he added that Chile and Argentina have also done this. And as to why the AWM is so reluctant to acknowledge the bloodshed on this continent, Professor Reynolds said he doesn’t know why. But, he stated that Dr Nelson’s claim that the legislation prevents the memorial from doing so doesn’t hold up. The AWM has outlined that the Australian War Memorial Act 1980 provides that the memorial’s official role is to acknowledge Australians who have died due to active service, or war or warlike situations where Australians have been on active service. 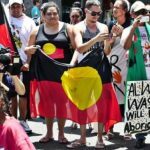 And it asserts these provisions don’t encompass internal conflicts between Aboriginal and Torres Strait Islander populations and colonial powers. According to Professor Reynolds, even if this did prevent frontier conflict recognition, Nelson could simply ask for a minor amendment to the Act, which could be settled in a month. And the historian then said he wasn’t whether the reluctance was “a form of disdain based on race”. Britain began its occupation of this continent claiming terra nullius: the concept the land had no owners. But, the Mabo decision overturned this legal fiction. In acknowledging the Frontiers Wars, the nation would also dispel another long-propagated establishment myth that of peaceful settlement. As far as Mason is concerned, officially acknowledging the Frontier Wars would take the control of the issue out of the grasp of those who continue to deny the conflict happened and “place responsibility for the beneficial inheritance that those ‘who didn’t do it’ have received”. And the idea of recognising the atrocities perpetrated upon the First Nations peoples of the continent also opens “the fears of compensation and retribution for generational damage done to those who have suffered for the unconscionable conduct of the past”, Mr Mason concluded.